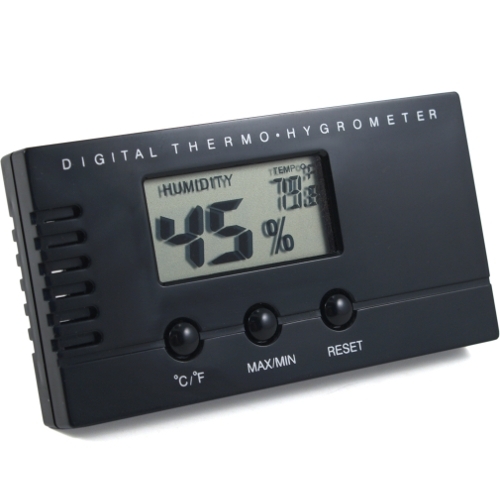 Keep your cigars fresh with this digital hygrometer and thermometer. The ultra compact design gives you an easy to read and accurate display of your humidor's humidity and temperature in either Fahrenheit or Celsius. The easy to use design has only three buttons allowing you to recall the minimum and maximum, toggle between Fahrenheit and Celsius and reset.